In 2006, the Revd Eileen McLean used a sabbatical to look at how churches were engaging with their visitors and how that might be improved. “Visitors to any church will have many different motives for entering through the door. They will also be a mixture of ages (veering towards the older end of the spectrum) and personalities, some highly literate, some less so. As well as this, they will undoubtedly be a mixture of (1) regular church-goers, (2) those who have lapsed but have some ‘feeling’ for church life and awareness of Christian teaching, but may be of a sceptical disposition (3) people who have never experienced any form of worship (other than perhaps a funeral or wedding), and are pretty ignorant about the Christian faith altogether. 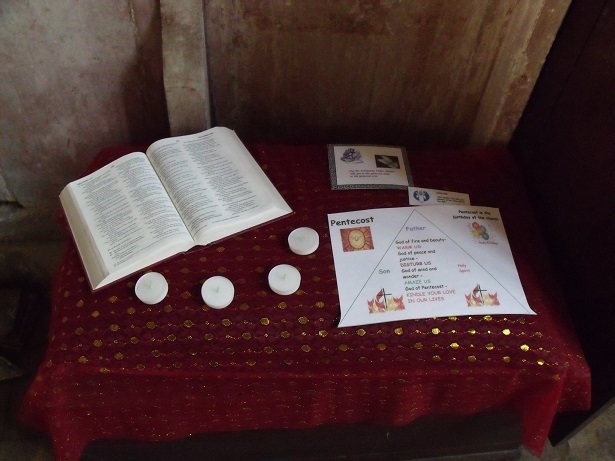 In this Sabbatical time I set out to discover how churches help ‘committed’ and ‘knowledgeable’ visitors (categories 1 and 2) to understand their Christian heritage better, and enable them to pray and renew or deepen their spiritual experience. But most especially I wanted to find out how churches relate to visitors in category 3. It is a fact that many people today are totally unfamiliar with what happens in an act of worship, and formal prayer is strange to them. When they come into a church, everything is ‘foreign’”.